Shakespeare discovered the secret of language. He had the advantage of living at a moment in history when a new language was coming into being. Modern English was emerging in common speech as a language of exceptional flexibility. What is it about Shakespeare? Where does the genius lie? Not in the plots, which were either borrowed or contrived. The tragedies are not tragic in the Classical sense. Shakespeare presents his tragic heroes with a moral choice. They are not destined against their will as in Greek tragedy. Oedipus stumbles blindly towards his fate. Hamlet faces a personal dilemma that he seeks to resolve by reason. He articulates his choice, then he chooses of his free will. Shakespeare, who has no doctrine to expound, enables his characters to act according to their conscience. Such freedom requires a vast canvas. Rarely in world literature-Tu Fu in ancient China is another – is the full range of human emotions available in one voice. Without language the emotions would be silent. It is surely Shakespeare’s language that is the element of genius. Frank Kermode [in Shakespeare’s Language] was surely right to identify Shakespeare’s perception that language is by its nature metaphor. Words are not abstract definitions. They are descriptive comparisons. What is tragedy? The sacrifice of a goat [tragos]. What is language? The use of the tongue [lingus]. And so it goes on. Everything in life is understood by reference to something else. Shakespeare discovered the secret of language. He had the advantage of living at a moment in history when a new language was coming into being. Modern English was emerging in common speech as a language of exceptional flexibility. The vocabulary was rich, a factor that Shakespeare stretched to the limits of possibility. English, despite its complex idioms, had great purity [as in Cranmer’s The Book of Common Prayer, a major influence for its simple elegance]. It is a purity not of courtly elegance but of popular communication. Because the poetry of Shakespeare was written in the language of the ordinary it was long considered in some sense inferior to the difficult and ancient tongues of the Classical world. We may say that blank verse lacks the elegant artifice of Racine’s alexandrines, but is no less beautiful, a truth that was side-stepped in the mists of pedantry and prejudice. Even into the Twentieth Century education in English was traditionally rooted in Classical grammars. Shakespeare was both the supreme genius of the national culture and an entertaining diversion. Until Irving no Shakespearian was knighted. Honours were given to the Classical scholars. Shakespeare was enacted in schools where he, and other English writers, were not taught. This may seem unimaginable now, but for many generations it was the case. A case is confining space. The hermit in his cell cannot see the funfair. Even the sky is barely glimpsed. The narrowing of interest produces the administrators of empire. The creators of new worlds are those who open their minds to experience. In that regard Shakespeare has a high position. Peter Brook is surely right to speak of Shakespeare’s infinite layers of meaning. Although the language is precise, the possibilities are going to continue until the language is no longer in common use. What then? Will it be possible for translation to retain the essence of the original? Translation is always a problem. Pasternak rendered Hamlet into Russian as carefully and vividly as anyone could. The translation is not Shakespeare but a version that conveys the beauty of the original poetry. It remains the inevitable truth that there is always a loss, and rarely a gain, in all translation. Other languages receive palimpsests of Shakespeare, as the monoglot English do of other literatures. In Shakespeare the problem is acute because the genius lies in the poetry. A modern version of Romeo and Juliet expressed in street argot is not Shakespeare, not even in the plot which is derived, by way of other English versions, from Matteo Bandello’s romance. The Shakespeare play is not a translation but an authoritative text generated by an original perception. Tolstoy’s polemic of doubt, Shakespeare and the Drama, is best known in Orwell’s angry, distorted summary which parodies Tolstoy’s argument. Tolstoy’s charge is that, lacking credibility in its psychology, Shakespearian tragedy is no more than a melodrama with rhetorical flourishes. In Tolstoy’s eyes serious interest lies in his creation of characters, among whom Falstaff is identified as one of the greatest in world literature. There speaks a Nineteenth Century realist for whom the poetic imagery is no more than the decoration on the cake. Tolstoy’s critique misses the point that Shakespeare’s imaginative insight of the human psyche transcends the realm of ordinary things. Extraordinary events require extraordinary feeling. The emotional intensity cannot be regarded as pathology but as art. A poet is not searching for the causes of feeling and behaviour. A poet searches for the metaphors by which human life may be described and explained. The explanation is evoked by the potential meanings within the metaphor. ‘Nothing will come of nothing,’ says Lear. A translation surely must be easy? On the surface there is no problem. We can hear in Le Roi Lear the curious familiarity of famous words spoken in another language. A director/translator like Olivier Py is sensitive not only to the technicalities of language but also to the nuances of meaning. Rien may imply a philosophic state of anti-rational negation. ‘Nothing’ is to the English matter-of-fact mind simply an absence. To hear Lear in another language transforms future experience of the English original. The once-familiar is now waiting rediscovery. The meanings feel more varied. The emotions are more intense. The metaphors have greater resonance. ‘What is it about Shakespeare? About Shakespeare there is a web of many myths woven by purported admirers. What they seem to admire most are the myths they have created. They confuse genius with perfection, forgetting the critical nature of appreciation. 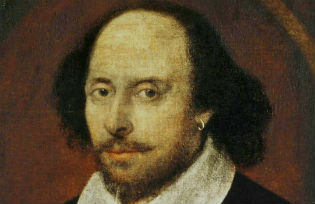 ‘We must confess the faults of our favourite,’ Johnson wrote of Shakespeare. For his venture into doubt Johnson’s reputation declined in Victorian England. Dismissed as a mere upstart, a charge once levelled by his contemporaries against Shakespeare himself, ‘Dr Johnson’ was reduced to the status of a character. That would be equivalent to considering William Shakespeare as an actor whose aspirations to create his own theatre are not to be taken seriously. So often, however, the works are taken too seriously. ‘The God of our idolatry,’ Garrick declared, unveiling a statue at the Shakespeare Jubilee of 1769. To make an institution of an artist is to entomb the art. When Shaw complained of ‘the monstrous rhetorical fustian, his unbearable platitudes, his sententious combination of ready reflections with complete intellectual sterility’ he was thinking, surely, not of the plays themselves but of the waxwork presentation of a reverential acting style that drains the poetry of its variety, and which reduces intellect and wit to a litany of the familiar and obvious. Enchantment becomes cant. There are those who would make of the living words a sacred monument. The reverential whisper is of the sacred text of a secular faith. In the absence of a credible metaphysic there may be found the scriptural authority of a contemporary humanist. Here is how art may be re-created in the onlooker’s image. All ambiguity, irony, wit and moral questioning are flattened to meet the needs of the hour. There is always a quotation available as justification of a transient point of view. The mountebank’s trickery of old is fashioned with stolen treasure. To make the case for Shakespeare’s genius may seem superfluous and absurdly so. That is until one considers the desperation of the idolaters of this and of any age. We may read into Shakespeare many things. What we need to seek is the essence of meaning that lies somewhere behind the surface of the words. What is it about Shakespeare? Peter Brook so recently observed [in The Tip of the Tongue] that surrounding Shakespeare’s verse there is silence. It is to that silence we must venture. Geoffrey Heptonstall writes regularly for The London Magazine mainly on poetry and Open Democracy primarily on social questions. He is a playwright, poet and essayist.